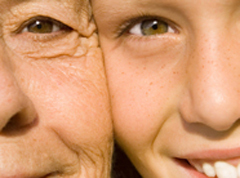 Genetics and environmental factors play a big part in how one ages. Ageing of your skin is a continual process. Skin ages differently in different people. In Australia, UV radiation from the sun plays a big part in this process. There are a large variety of skin changes that can occur as the skin ages. Some examples are wrinkles, pigmentary lesions (ie. freckles or lentigo), vascular lesions (ie. broken capillaries or poilikoderma), loss of skin elasticity and skin lesions arising from abnormal cellular growth (ie. solar keratosis and skin cancers). After listening to your aesthetic concerns and assessing your skin, our doctor will discuss with you the treatment options that address your concerns.